The Lana Duke story is the classic rags-to-riches tale, with many ups and downs along the way, but Lana’s legendary “do-it-right- and-never-give-up” attitude has always kept her moving ahead. Born in St. Catharines, Ontario, Lana grew up in a foster home. She left Toronto at age 18 and moved to New Orleans with only $350 to her name. To make ends meet, she took jobs selling pots and pans door-to-door and as a short-order cook. Lana soon graduated to advertising, first at the Clarion-Herald newspaper in New Orleans, where she worked her way up to advertising director. Then, in 1975, with $10,000 in savings, she opened her own ad agency, Duke Unlimited, which would eventually become the largest woman-owned agency in the Gulf South. In the years to come, Lana Duke would often be called the “secret weapon” behind some of the great success stories in American business. In 1968, Lana made a sales call on a single mother who was running a popular steak house on Broad Street in Mid-City New Orleans. Before long, Lana’s agency had the Ruth’s Chris Steak House account, and Lana began a 26-year professional and personal relationship with Ruth Fertel, a relationship that Lana still views as the greatest achievement of her career. 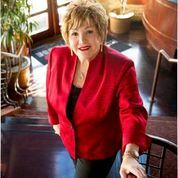 Lana worked hand-in-hand with Ruth to develop the successful marketing program that helped grow Ruth’s Chris Steak House from two restaurants in Louisiana to the world’s largest fine dining steak house brand. For Ruth’s Chris, Lana always kept her focus on selling the steak and the sizzle. “We took one central idea – the sizzling steak is the star – and stayed with it over the years, never wavering but refining the concept, expanding it and building a No. 1 brand,” Lana says. She became a trusted counsellor within the Ruth’s Chris organization, becoming involved with much more than the marketing. Lana helped with troubled restaurants and guided them to successful turnarounds; she spent many long days with Ruth and other Ruth’s Chris executives, brainstorming ways to improve the business and to make it even more successful. Such a believer in the product was Lana that in 1993 she became a Ruth’s Chris franchise owner, opening her first restaurant in San Antonio. The restaurant was profitable from the beginning, and Lana was able to repay her investors early. In 1995, Lana opened her next Ruth’s Chris in Toronto. Another Canadian location opened in Mississauga, Ontario, in 2003. In June 2000 a second Ruth’s Chris debuted in San Antonio and has since had a very successful relocation to the Grand Hyatt hotel on the River Walk in 2013. In 2015, San Antonio welcomed a third location on La Cantera Terrace next to Eilan Hotel. Today, Ruth’s Chris Steak Houses appear on “best restaurants” lists nationwide. Lana is especially proud that all of her restaurants are the recipients of the prestigious DiRoNa Award—Distinguished Restaurants of North America and continue to win the “Wine Spectator Award” year after year. A keen entrepreneur, Lana is also a co-owner of the Palace Truck Stop and Casino in New Orleans. In addition, as CEO of Lana Duke Consulting in New Orleans, she is putting her three decades of experience to work to help entrepreneurs raise capital, solve business problems and grow their companies in today’s challenging business environment. Today her son R.David Duke plays a big part in continuing her goal to grow her businesses and Lana is able to focus more time and attention on giving back by helping to teach others how to be more successful. She is frequently asked to speak to a variety of business organizations, as well as to college and university audiences. Lana shares the advantages of having a vision, thinking big, delivering customer satisfaction, going with your gut and understanding the “Five P’s” of marketing – Product, Price, People, Place and Promotion. These are just a few of her suggested “Ten Tips for Success in this Crazy Business,” a speech she frequently gives to business and professional groups. Lana takes a very personal interest in leading by example. She serves as a role model to the local children of Roy Maas’ Youth Alternatives, a San Antonio residence and counseling center for children between the ages of 5 and 17 who are in crisis. The children who come to Youth Alternatives are often abused and neglected, and are in dire need of shelter and care. Each year Lana opens her arms and her doors to the children of Roy Maas’ Youth Alternatives. From Thanksgiving jubilees to etiquette training dinners, Lana enthusiastically shares her story, her time, and her San Antonio restaurants with these children so they better understand what the future might have to offer. San Antonio’s Downtown Alliance recently named Ruth’s Chris as the “Best Restaurant with a Heart” due to Lana’s generous contributions and involvement within the San Antonio community. Due to the success of Lana’s efforts with Roy Maas Youth Alternatives in San Antonio she has aligned herself with Raintree Children and Family Services, a similar organization in New Orleans, where she currently serves on their board. Lana says the greatest lesson she has learned over the years, is that something good can come from even the worst experiences and that adversity makes you a stronger person. While Lana didn’t always have the support of a family to guide her, she worked harder to achieve greater opportunities and to open doors for her future which otherwise might have remained closed. Lana’s mantra became: “Even if you don’t feel confident, fake it ‘til you make it! Be assertive and learn to speak with confidence.” She also believes that “out of everything bad comes something good” – a lesson learned throughout the challenging experiences in her life.